Directcars Articles | Buy car & Sell car. Scrap Car Dealer Singapore. 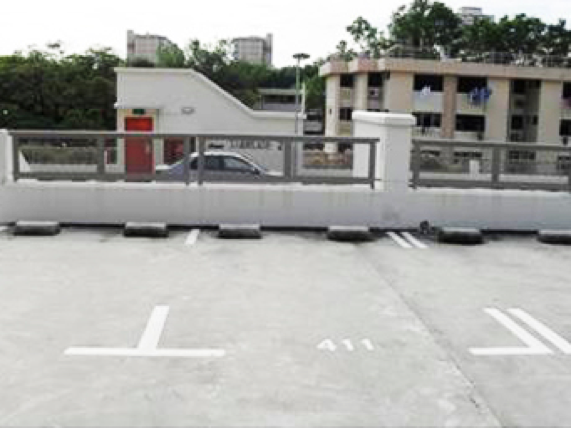 One of the most daunting task of driving in Singapore is firstly finding a parking lot but even after so, you have to abide by the bounteous of parking laws Singapore has in place. The need to equip yourself with the knowledge of these laws is critical and essential to avoid a hefty fine. So if you are one of those who has fallen trap, you have come to the right place. We are here to rescue you and mending that hole in your wallet! Like everything else, let's start with the basic knowledge. 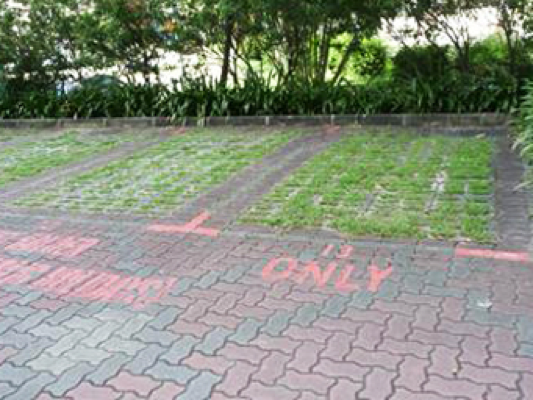 4 colour codes generally used on parking lots. The typical and omnipresent white parking lot, the safest of the safe. Short-term visitors can park in these white-lined lots during the operating hours of the car park. This is stated on the signboard situated at the entrance of the car park. Yellow lots can be found in car parks within the Restricted Zone. These parking lots incur a higher parking fee of $1.20 per half hour if parked between the time period of 7:00am and 5:00pm, Mondays to Saturdays. The normal parking fee of $0.60 per half hour is charged after 5:00pm, including Sundays and public holidays. Again, the parking charges are clearly listed on the signboard at the entrance of the car park. 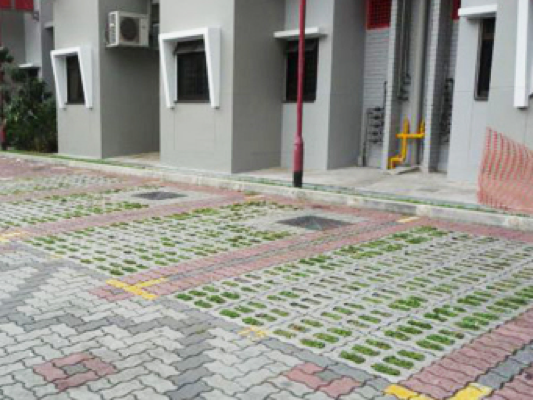 These bi-coloured lined parking lot serves as a vivid visual illustration for visitors to avoid them as these parking lots are generally reserved for season parking holders from 7:00pm to 7:00am, Mondays to Saturdays, and whole day on Sundays and public holidays. However, car parks may differ slightly in terms of reserved days/ time. Short-term visitors are highly advised take reference to the information sign plates near the reserved parking lots or the wordings painted in front of these parking lots (if any), before parking. Meaning to say, you can only park in these reserved parking lots from 7:00am to 7:00pm, Mondays to Saturdays. Red lots are reserved strictly for season parking holders all day, including Sundays and public holidays. Short-term visitors cannot park in these lots. 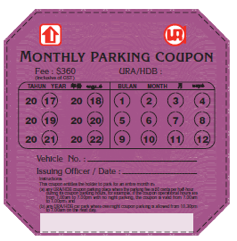 These coupons can be used when you park your vehicle in HDB/ URA coupon car parks during designated parking hours. These coupons can only be used to park at a specific car park, and cannot be used in a different car park. Read the individual car park's signboard carefully to determine if the charges are $0.60 or $1.20 per half hour. You can buy a Whole Day Parking Coupon if you wish to park for an entire day. You can use a Whole Day Parking Coupon for short-term parking, in a specific car park, but not at different car parks. You can check the location of car parks with the Night Parking Scheme. The signboards of these car parks also state the time and charges. With this coupon, you can park in HDB/ URA coupon car parks where parking charges are $0.60 per half hour and coupon parking is allowed. With this coupon, you can park in HDB/ URA coupon car parks (outside and within restricted zones) where coupon parking is allowed. Both types of coupons are valid for overnight parking in car parks with the Night Parking Scheme. 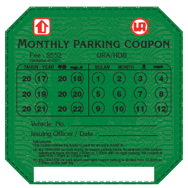 Monthly Parking Coupons can only be purchased from our HDB Branches (except Tampines Branch) or the URA Centre. For those mourning the death of a loved one, attending funerals can be a lengthy affair. 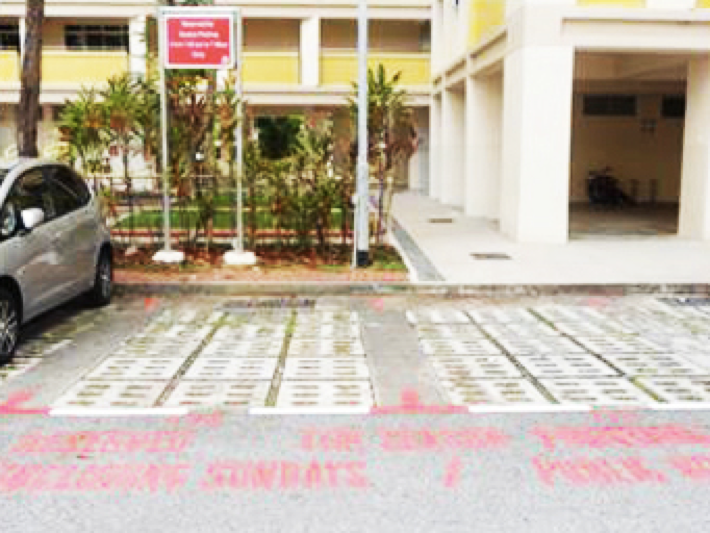 If the wake is held at an HDB estate, immediate family members of the deceased can get a Temporary Parking Ticket (TPT) to park their vehicles at a car park nearby. Application for the TPT can be done at any HDB Branch or Service Centre during office hours, from 8am to 5pm, and requires the Death Certificate of the deceased and documents to prove the relationship between the applicant and deceased. Not only do you save time, you can also save a trifle of money from coupon parking too! If you have an expired stash of coupon parking, rejoice as you can exchange them for new ones (as long as at least 1 segment of the tabs are intact and there are no irregularities). These include old tickets that have expired validity dates or wrongly torn coupons. 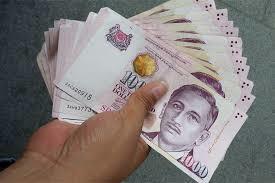 Head down to any HDB branch or the service counter at the URA Centre and exchange those old coupons for new ones. 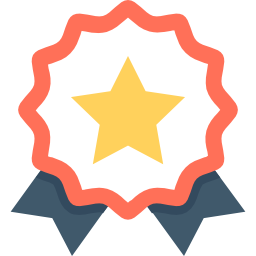 With used car dealership being a top marketplace for sellers, we feel that it is crucial for you to be informed on the selling processes for a better judgement. So, here is a useful guide to the 5 stages of selling your car to a used car dealership. 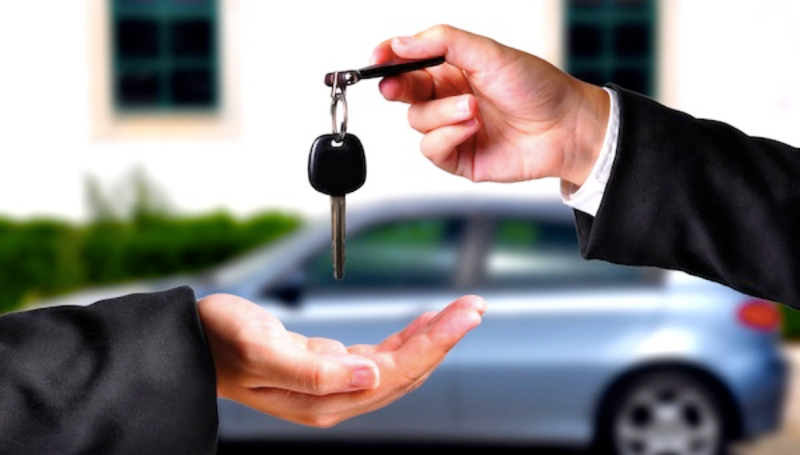 1.Sourcing for the best price: Get Quotes From At Least 3-5 Car Dealerships. 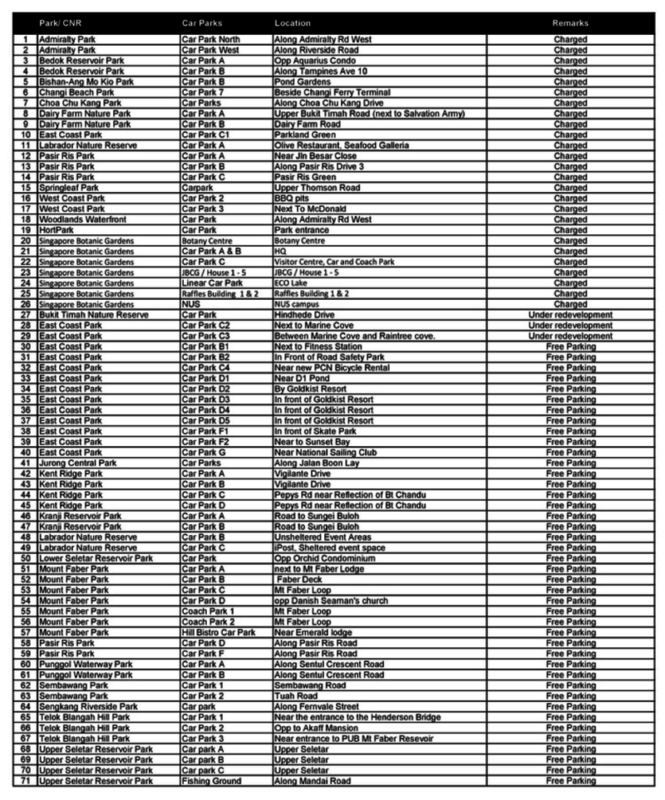 There are currently 5 car marts with over 700 used car dealership in Singapore. To negotiate a better price, it will be good to drive down to the dealership to speak to the boss instead of the sales person. If you find it too tedious, you can alternatively call the various used car dealership directory for price quotes. Often than not, the attractive buying price quoted offered over the phone can be substantially reduced upon the dealer's further inspection of the car. Now that you have obtained a good selling price for your car, the next step is to go for the car inspection. It is typical of a used car dealer to view the selling vehicle before giving a confirmation offer. Both interior and exterior of your vehicle will be examined for defects or signs of previous accidents. This is to ensure that the car is in a proper selling condition while new defects found will result in the deduction of the initially offered price. It is crucial to obtain a comprehensive description of your vehicle condition to avoid discrepancy in the final offered price. Sometimes, dealers may even markup their repair costs to obtain the best price for themselves. Upon agreeing on the final offered price, you will have to sign a couple of relevant documents. 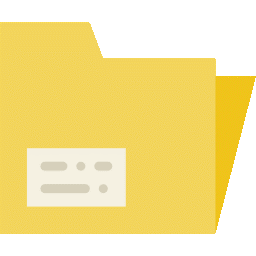 Do take extra time to read through each of the documents sequence and clarification thoroughly. B.Purchase Agreement - At this point, you are obligated to sell your car to the dealer or you will be liable to pay double the amount of deposit. C.Full Settlement Form – When there is still outstanding bank loan on your vehicle. This is for the dealer to check and settle the loan balance amount with the bank. 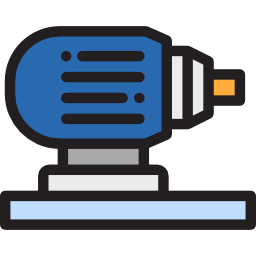 D.LTA Form (ES04 Transaction Pin Form) - If you are comfortable with the dealer keeping your NRIC, they can help with the collection of the transaction pin at Land Transport Authority. If you are collecting them yourself, do note to not to open the envelope. 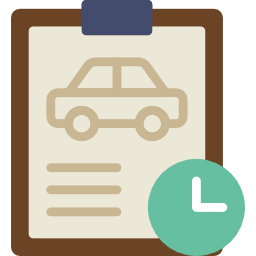 E.LTA Form (M01 Transfer Form): Lastly, both dealer and you will agree on a date and time — usually within a week — to hand over the vehicle. If your vehicle still has an outstanding bank loan, the dealer will contact the bank for the outstanding balance which will take two to three working days. During this period, take extra precaution and drive with care. You will not want an event where your vehicle is rejected by the dealer. On the car handover day, you will receive a cheque by the company. If your vehicle still has an outstanding loan, the cheque value would have been taken account of the outstanding loan. Even if there is no outstanding loan, you should request for a cashier order from the dealer just to be sure. 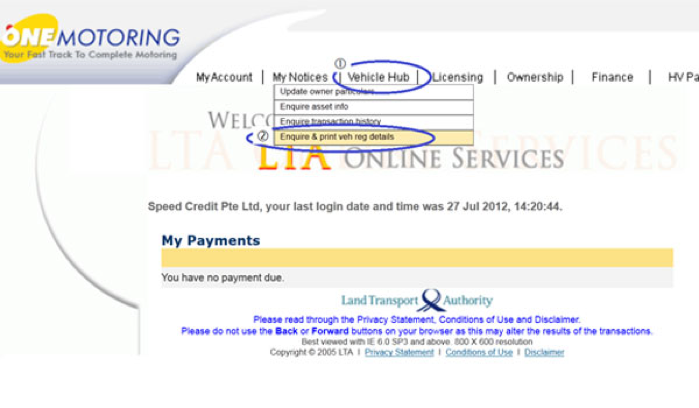 Upon receipt of the payment, you can now hand over the vehicle with the transaction pin obtained from LTA. OF course, sign on the purchase agreement and state the specific handover date/time to avoid possible dispute. 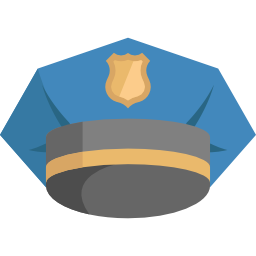 In an event of traffic offenses, fines or damages after the stated handover date, it will not be incurred by you. After handing your car over, you should contact the insurance company to terminate your policy and request for rebates refund if any. We hope that this article has served you well and provide a more in-depth understanding on the process of selling your car to a used dealership. All the best! Beg to differ, but owning a car in Singapore is an exorbitant responsibility. Accumulating more costs as years go by and when your COE expire at the end of 10 years, you bid goodbye to your car, sad but definitely a little relieved. What if we tell you that there is a way to relieve you of some monetary burden by bringing your car out to work. 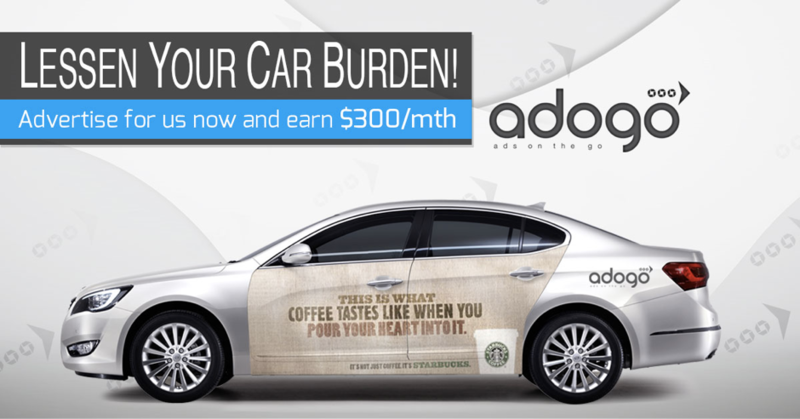 By putting up ads on your car, you get to earn up to $300 effortlessly! Meet Adogo! Renting out your car's rear bumper space can acquire $50 a month, while having ads on your bumper and side doors can fetch you $150 a month! You only have to follow simple steps of, firstly, answering a few questions on a survey. Secondly, matching up with an advertiser, and thirdly, parking somewhere that's convenient to put up the ads. You don't even need to be present while they put it up! Next, off you go and show the world a richer you. With spare time on your hands, opt to drive for either Uber or Grab! In fact, you wont be the minority to do so. Many drivers look at it as a way to earn back some petrol money. It's like driving a cab, but with your own car, or a car you're loaning. You are entitled with the freedom of driving any amount of hours you will like as and whenever you please. But of course, unlike cabs, you can't pick up passengers on the streets. The application process is a tad lengthy, but the returns will be worth it! 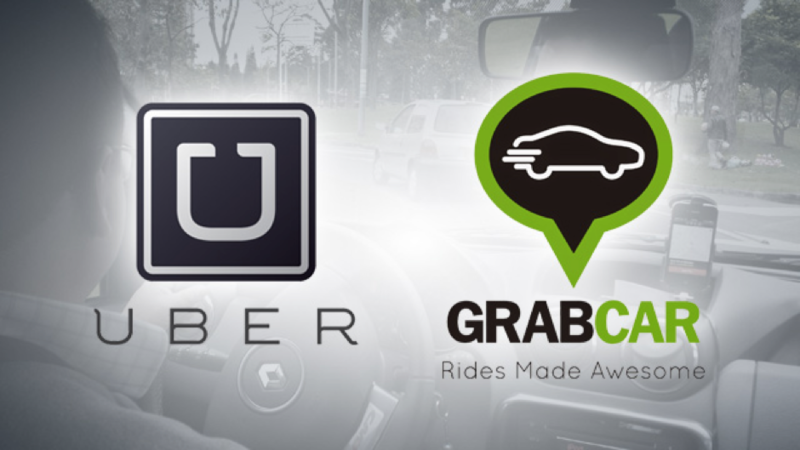 You can check out the whole process here for GrabCar, and here for Uber! If you are unable to dedicate time being a full-time Uber or Grab driver, maybe carpooling is better up your alley. 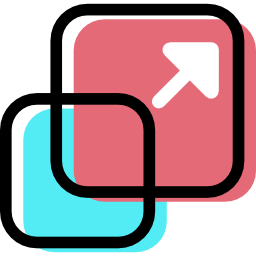 This platform allows you to search for people that are in your area that want to go somewhere in the same vicinity as your destination! You pick them up, drop them off, and get paid! It's as simple as that. This way, you save costs on your fuel, meet new people and earn money all at the same time! For passengers, a trip could be 25% cheaper than a typical UberX ride. If you're interested, check out Uber Pool, GrabHitch and Ryde! For those van owners, don't feel dejected. Put those idle vans to good use! 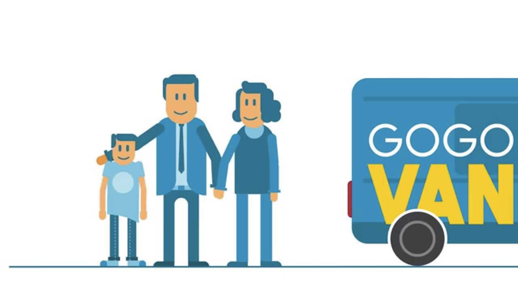 Gogovan and Lalamove works something like Uber and Grab, except it connects you to people that need things delivered. You can choose your job types which ranges from delivering small goods, to transporting large and bulky items, to moving jobs! They pay pretty well too. Check Gogovan out here, and Lalamove here! Want to take up a more solid and stable job, go for Foodpanda! They offer full shifts from 11am-10pm, Lunch shifts from 11am-3pm and Dinner shift from 5/6pm-9/10pm! The pay itself is pretty attractive! If you prefer to work on a moreflexible schedule, UberEATS lets you to connect people to the food they love while you earn some money! All you need is a car or a motorcycle, and you're good to go. You can drive whenever you please, and choose the deliveries you want to make. Although the flat $3 delivery charge isn't substantial, UberEATS promises that deliveries are made within 35 minutes. If you can fit multiple deliveries in an hour, the payout is alright! With iCarsClub, you don't have to be in the car to make money. Whenever your car is idle, for example being overseas, working or sleeping, why not rent it out to people and make money at the same time? 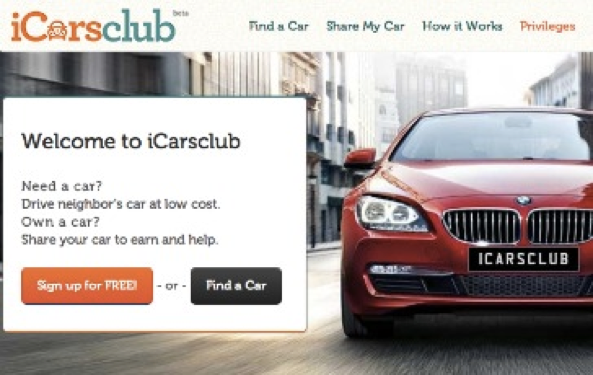 iCarsClub lets to rent out your car whenever and to whoever you want. You can choose rental durations without it hassling your schedule with their keyless entry system so you don't have to exchange keys in person! Best of all, you set the prices. Is your car's COE term coming to an end? Thinking of scrapping or exporting your car instead of bidding for a new COE? Here are 6 helpful tips that you should take note of before you scrap or export your car. Don't leave scrapping or exporting your car until the very last minute. Once the COE expires, your car cannot be on the road anymore. As such, you will have to incur additional costs to tow it to the scrapyard. We highly recommend you to start making the arrangements at least 2 to 3 weeks before the COE expiry date. The value that you get is dependent on various factors such as the supply/demand and the make/model of your car. Particularly in the year 2014 and 2015, it was observed that many new cars were being registered. So when we do a ten years count down, many cars were to be scrapped in 2014 and 2015. Consequently, there was an excess supply of car and therefore lowering the value for the body of your car. Briefly explained in the earlier point, the value obtained from your car is dependable on the make & model. Exporting your car will definitely fetch a better price as compared to scrapping your car. Essentially, selling your car to an exporter refers them helping to sell the car to dealers in other countries. As such, there will be some requirements that your car has to meet before you are able to sell it to an exporter. Note that these requirements may changes from time to time, but the three below criteria are the common ones that we have observed so far. If no exporter is willing to take in your car, then the next option would be to scrap your car at a scrapyard. This option will see your car being torn down for its spare parts and precious metal. For the same car, different exporters will offer varying prices. This will depend on the contacts and countries each exporter deals with. For example, certain countries might ve willing to pay more for a particular brand of car, hence the difference in price offers. 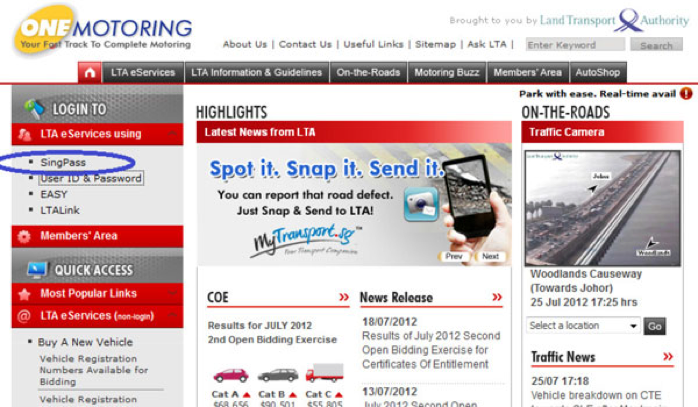 To find out your car's 'paper value', you can check it on LTA's website by clicking on this link. A point to note, you will have to select the intended deregistration date and that the amount will varies depending on the date you select. Now that you understand the factors for de-registering your car, let's proceed to the final stage of completing the process. Pro: You will get the full paper value plus the road tax rebate. Con: Hassle and Effort Required. First, drive your car to an LTA appointed scrapyard and arranging a return trip. The rebate will be held with LTA for about 3-4 weeks before eventually being released to your bank. To find out more about on the process of deregistering the car yourself, click here. Pro: Additional body value. Hassle-free and Efficient! All paperwork will be sorted out and completed by them. 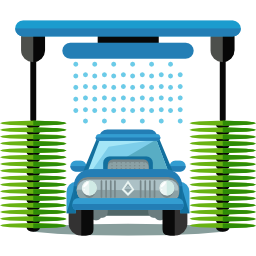 You will receive the money immediately upon handling over the car, you don't have to wait and monitor when the money will be dispersed by LTA. Con: There will be a 1-2% deduction from the paper value that acts as interest due to their money being stuck at LTA. To find out more about this hassle-free service, then please click here. One of the most crucial documents that you are required to submit when applying for a car loan in Singapore is the Vehicle's Log Card. 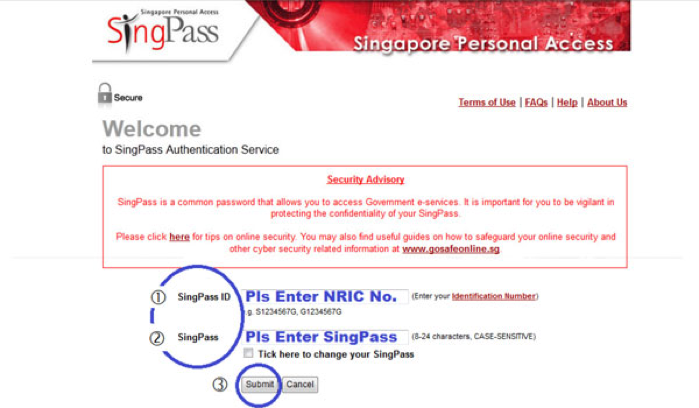 Here are 3 easy steps to obtain an LTA log card for your vehicle. 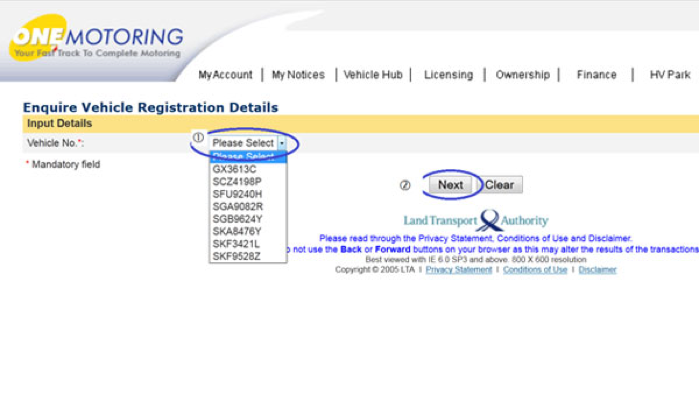 Step 3: After successfully logging in to e-Services@ONE.MOTORING, select 'Vehicle Hub' > 'Enquire & print veh reg details' > Select the vehicle registration number of the required vehicle > click Next and print the details accordingly. 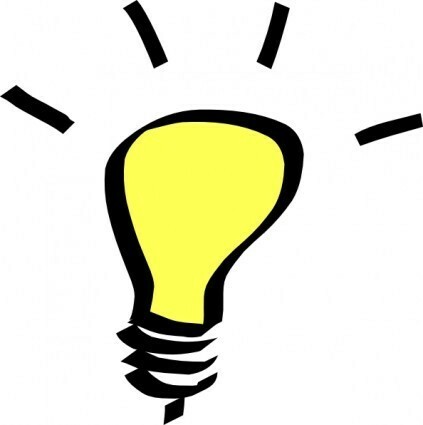 Lemon law was incepted on 1st September 2012 as part of an effort to protect consumers against defective goods. Here are 4 relevant Lemon Laws explained if you are ever stuck in a sticky situation. Within the 6 months' period — Defect(s) is presumed to have existed at the time of delivery, unless the dealer can prove otherwise. After the 6 months' period —Buyer has to show that the defect(s) existed at the time of delivery. Defects were caused by buyer through misuse or unauthorized repair. The fault was caused by wear and tear, and not an inherent defect. Buyer knew about the fault before purchase. The car is not defective; buyer simply changed his or her mind. 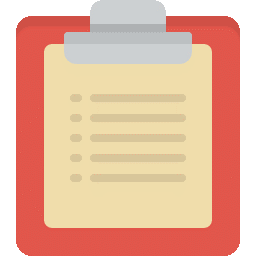 Before purchase, buyer can add a clause to the Sales Agreement to have the car evaluated by a third party, such as STA or VICOM. These expenses are usually borne by the buyer, unless the dealer claim that the car is damage-free but excluding the effect of wear and tear. With the evaluation report, the buyer can request a dealer to correct the faults, less wear and tear. However, if another problem pop ups within 6 months of delivery, he or she is unable to make a claim under lemon law. The dealer may first offer to repair or replace the defective car within a reasonable period of time, without causing as much inconvenience to the buyer. The dealer did not provide repair or replacement within a reasonable period and causing much inconvenience to the buyer. You won't want to risk a misstep on your COE which might have costs you tens of thousands. To help you lighten the burden of COE renewal amongst all your other worries in life, we have curated a simple and easy-to follow-list on things you need to know to make a well-informed decision! Good news! When renewing your COE at the end of the car's 10 year cycle, you need not bid for a COE again. Instead, you pay for something called the Prevailing Quota Premium (PQP). The cost of PQP is determined from the moving average of COE prices of the past 3 months. Meaning to say, PQP will vary every time. To get the PQP, follow the link here! 2. When do you apply? 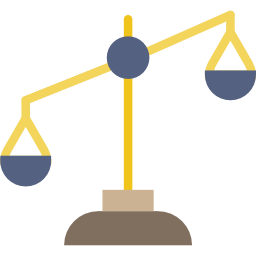 You will have to consider both the balance of your existing COE as well as the cost of PQP. This is because the remaining balance of your existing COE will be forfeited when you pay for the PQP! Do make your choice wisely. Furthermore, any COE rebate from any lay-up period during the COE validity period will also be forfeited when you renew your COE. So make sure the PQP price you're getting is worth the amount of COE you're forfeiting! When the COE renewal is made before the month that your COE expires, the PQP will be determined by the date you renewed your COE. The new COE will start from the 1st of the following month from the PQP month. 3. Should I renew my COE for 5 or 10 years? For a 5 year COE, you will only pay for half of the PQP. Despite the savings, it is crucial to note that once your car is renewed for 5 years, you won't be able to renew that car again. Comparably with a 10 years renewal, you are entitled to enjoy the privilege of continual renewal of your car. Do weigh your pros and cons! While most banks do not offer a car loan for COE renewal, we have found the hidden gem Maybank – offering loans up to 60% for 4-5 years, depending on the duration of the new COE period. Before renewing your COE, there are still a few things to take note of. 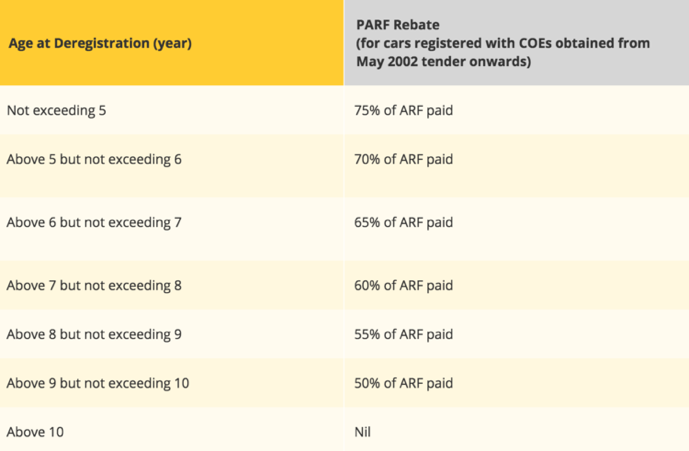 For COE renewal at the end of the 10 year cycle, you will lose your Preferential Additional Registration Fee (PARF) rebate in which the PARF value is determined by the Additional Registration Fee (ARF). Here's a handy chart to aid in your calculation. One vital point to reckon is whether your car is able to last for the next 5 to 10 years. With the prolonged wear and tear, an important indicator will be a car's mileage. 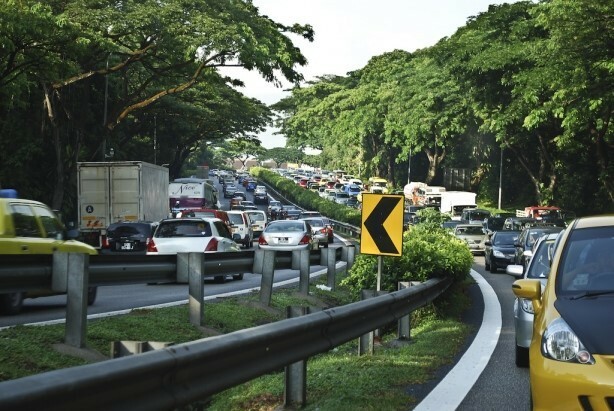 A typical Singaporean cars would run an average of 20,000km per year. At the end of COE term, it should amount to about 200,000km. With such a high mileage, you probably need to replace the affected parts to ensure a smooth driving for the next 10 years. Head to your mechanic to find out what you need to change! Click here for a quick valuation of your vehicle based on current market conditions. Do make sure that your payment is within the set payment limit by the bank! You will have to make your payment at least 2 weeks before your COE expiry date. The postage will have to include both the application form and payment. It should reach the LTA before the end of the month that the PQP is applicable, and the application date will be the date which LTA receive your application. This means that, depending on which is earlier, the date of PQP will be that of the application date or the COE expiry date. You can make your payment through cheque, cash or cashier's order. You can also pay by Diners Club Card or NETS if it is within the daily transaction limit set by the bank. 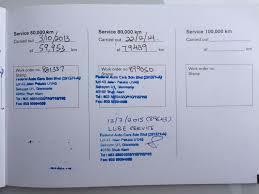 However, if you choose to pay by cheque, the COE will only be renewed on the date of the cheque clearance. After the COE has expired, you can only pay by cash, cashier's order or NETS. You will also have to cover for the late payment fees. All in all, make an informed decision, and evaluate your situation to maximize your COE life value. Drive Smart! During those peak hour jams and overly packed roads, they sure make bus lanes all the more tempting. 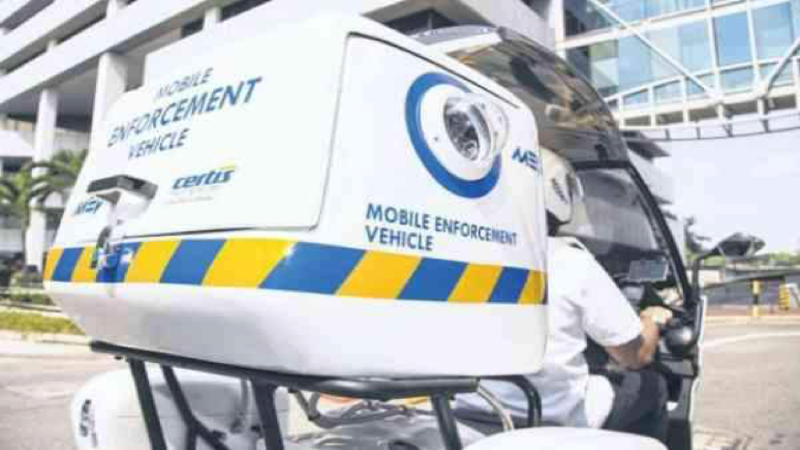 Unfortunately, buses today are equipped with video cameras and traffic wardens are stationed at bus lanes to write down that hefty $130 fine on you. Here are some notes to take for better understanding of the different rules imposed and avoid getting into trouble! Single yellow line (Normal bus lane) — are solely for approved vehicles during peak hours; BUT periods in between for normal motorists to use. Single yellow line + Single Red Line (Full day bus lanes) —operate throughout the morning peak hour to evening peak hour without the period in-between. Get the list of Normal and Full-Time bus lanes here! If you ever find yourself near or inside bus lanes during the restricted hours, follow these rule of thumb! A.Do not drive in the bus lanes. B.Filter in and out only at dotted bus lanes. 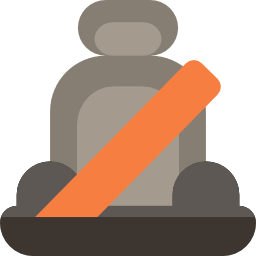 C.Stopping, picking up or letting passengers alight along bus lanes is not allowed. Driving a bus (scheduled and non-scheduled)? Rejoice as bus lanes are open to you. However, non-scheduled buses, such as school or factory buses, are not allowed to stop, drop off, or pick up passengers along the bus lanes. Vehicles such as emergency vehicles, polices vehicles and bicycles are also permitted to use the bus lanes. 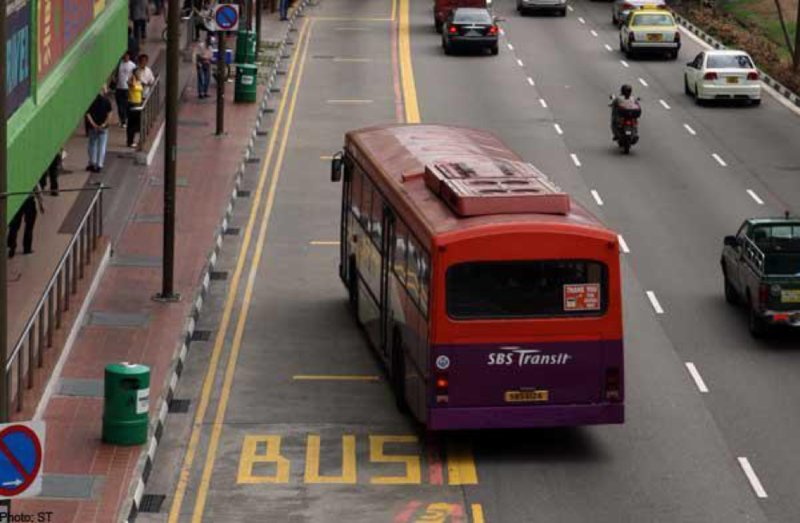 If you are caught, you will face a hefty fine of $130 — same value as not giving way to buses which are exiting bus stops in the Mandatory Give-Way to Buses Scheme. But rest assured as the fine does not come with any demerit points. In many cases, offenders are unintentionally caught in bus lanes. Jams, turns which are too close to the bus lane and unfamiliar roads are all common reasons for such cases. If you are caught in this sticky situation, you might have a strong case to appeal and waive the fine! Try these tactics to maximize your chance of getting a second chance! Try to contact the officials as quick as possible as their processing and reply periods are uncertain. You can even make your way down to try to appeal, and if unsuccessful, pay the fine on the spot. Be sincere, sound repentant and apologize while appealing for the waiver. If you are a first-time offender, do assure them that you will not repeat the same mistake. 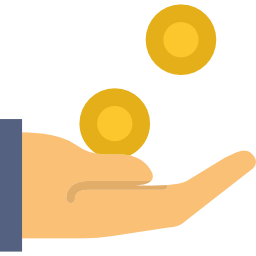 If you do face some issues with paying off the fine, it could be something to add in your appeal to help them understand your plight better. If your offence was due to uncontrollable circumstances like jams, unfamiliar roads and turns too close to the bus lanes, say so! You have a strong case, and can even ask them to cite the details and ask them to review the evidence. Also, if your offence was with necessary reason (such as rushing to the hospital with your wife in labor or a situation where time is of the essence) then state so in your appeal. They might empathize with your situation but make a note to not exaggerate your story as it just makes it seem like a lie to evade the fine. If you need some reference on appeal writing, search it up. There are a range of formats and examples cited from past offenders in hopes of helping fellow drivers in the same situation. Singapore being a land scarce city, parking lots are a nightmare to find and even more so, parking fees can be such money suckers. To be able to locate a free parking site within proximity is like heaven-send. With these free parking sites we have seek out for you, let your worries be gone – simply park your car and enjoy your time out. No longer do you have to be on your guard for potential traffic warren sightings or constantly being conscious about how long you have parked. 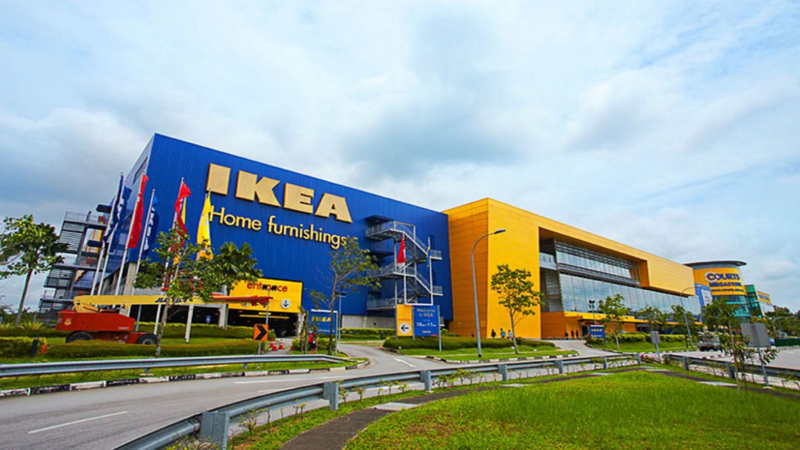 While the Alexandra branch still requires you purchase in IKEA in exchange for free parking hours, the IKEA branch in Tampines offers parking space completely free. 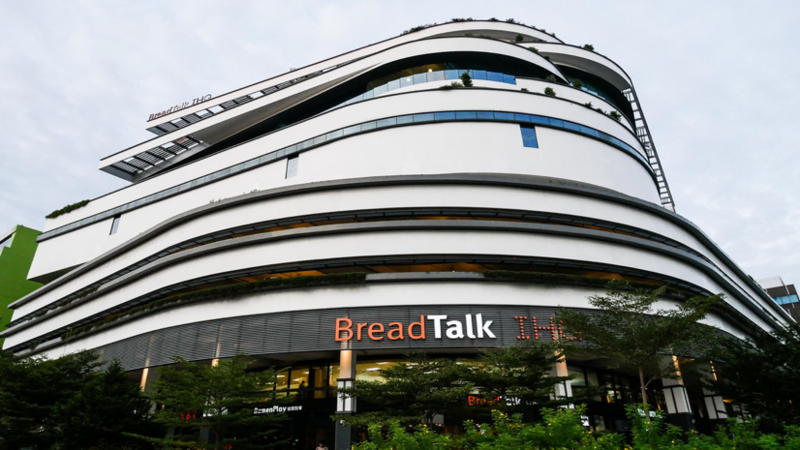 Even on peak hours and weekends, you need not worry about the parking lots getting filled up completely as you can conveniently head to Giant which is located next to IKEA and enjoy free parking there as well. Free parking every day, 7 am to 11 pm. 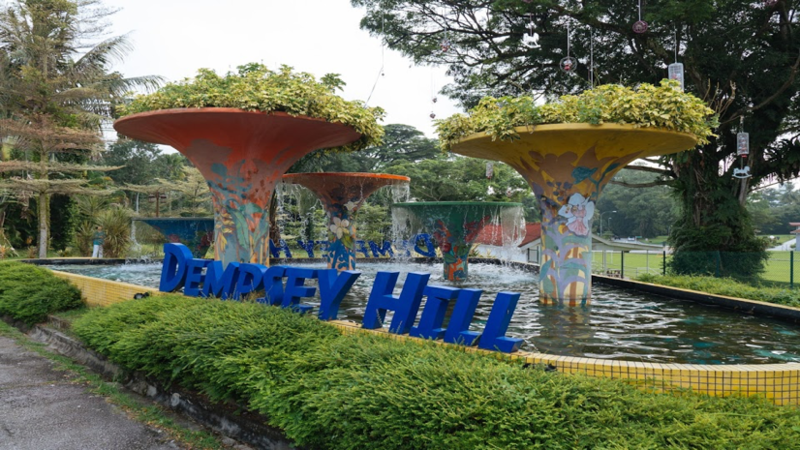 Dempsey Hill, a food haven but it's also inconveniently located within the expansive Bukit Timah. With the need to drive, you will be happy to know that there is free parking all day, every day! So Drive Ahead! Just a word of caution: Dempsey Hill has seen its fair share of complaints of tight lots and errant parking offenders, so park well! A drive to town can really take a toll on our wallets. Shopping, Dining and most of all PARKING. As if going through ERPs isn't bad enough, the outrageous parking rates in town can really add up. Thank god for Plaza Singapura's free parking! Free parking is available on Monday to Friday for the first hour between 10 am to 5:59 pm, excluding public holidays and eves of public holidays. But you have to be swift! Parking rate will increase to $0.32 per 15 mins after the first hour. Making a stop within the proximity of the Taiseng Bread Talk HQ, you don't have to sought further for cheaper parkings to enjoy their well-known floss buns and ramen. Despite its exorbitant and stylish façade, they actually offer free parking for their visitors! With accordance of their current promotion, parking is free for the first hour on Mondays to Fridays, and free for the first two hours on Weekends and public holidays! During their normal Mondays to Fridays, it's $1.50 per hour for the first 2 hours, and $3.50 for the subsequent hours. On weekends and PHs, it's $1.50 per hour for the first 3 hours and $4.50 onwards. 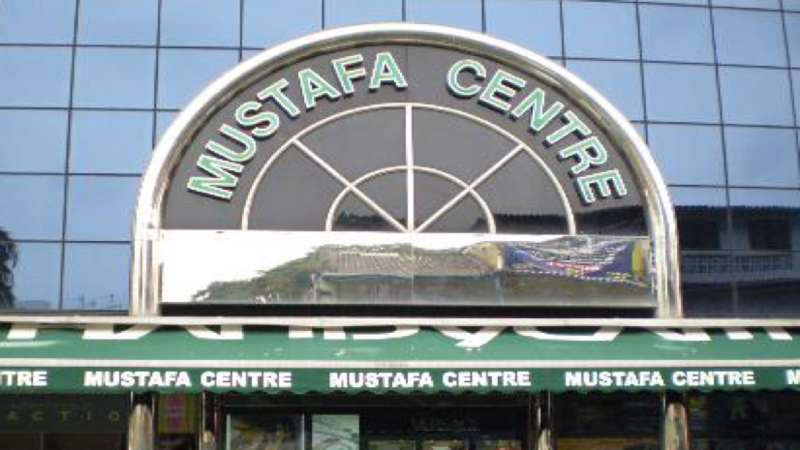 In line with Mustafa Centre's cheap groceries, the property also offer free parking for an hour for its visitors. Great if you are stopping by for a quick prata meal nearby. But perhaps you will have to hasten your shopping at the mall itself as it is massive. If not, you will have to suffer paying $1 per subsequent half hour. 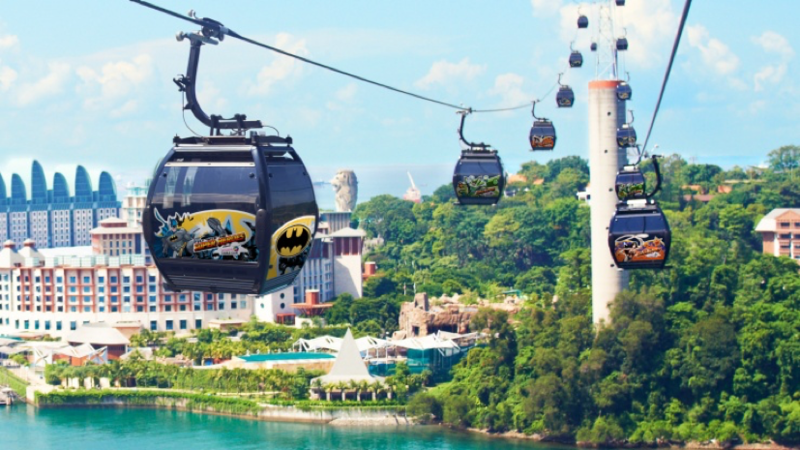 Out with the family to take the iconic cable car to Sentosa, or venturing into the oldest park in Singapore – Mount Faber Park? Ahoy parents out there! Visitors are entitled to the free parking in the area. The number of parking lots can be quote limited on peak hours or weekends but not to worry as valet services are also available at The Jewel Box for a fee of $5.00! 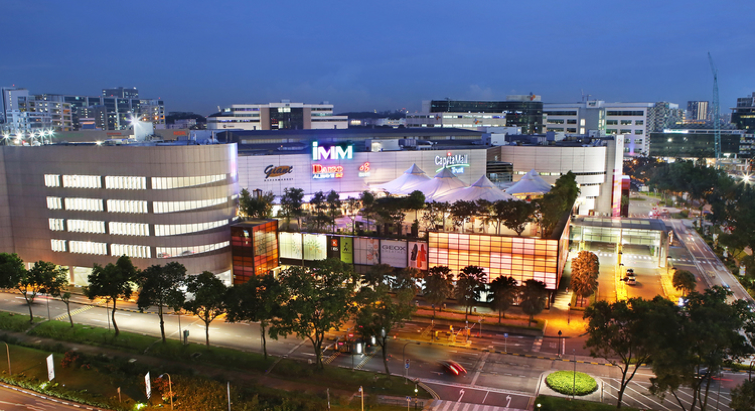 An expansive mall located at Boon Lay, Jurong Point boasts an agglomerate of outlets which provide for the extensive functions of entertainment, shopping, restaurants and household products. Fairprice Xtra hypermarket, to rows of Japanese, Korean and Hong Kong food streets, to Beauty Language. With free parking to drive home with all your goodies and filled bellies, all your needs are satisfied in one place! 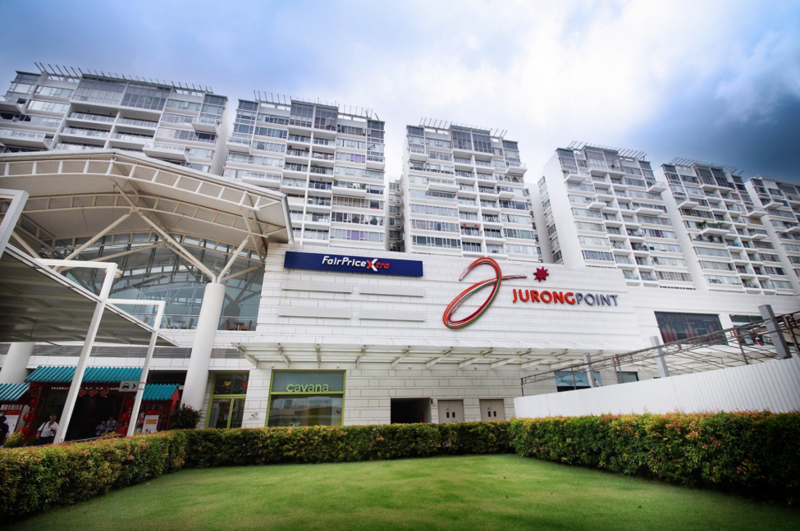 From 12 pm to 2 pm, Monday to Thursday, Jurong Point offers free parking with a charge of $1.07 per subsequent hour. Perhaps one of the top picks to go to for the young and hipsters, the Granstand does not fall short. The Largest Family Lifestyle Destination in Bukit Timah, go all out at the Red Dynasty Paintball Park or Micro Range Golf with your loved ones. You're not paying a cent for the free parking! Name what you need and you most probably are able to locate it at IMM. With huge outlet stores, Giant Hypermarket and Daiso, it's pretty convenient to get all your shopping done in one place. 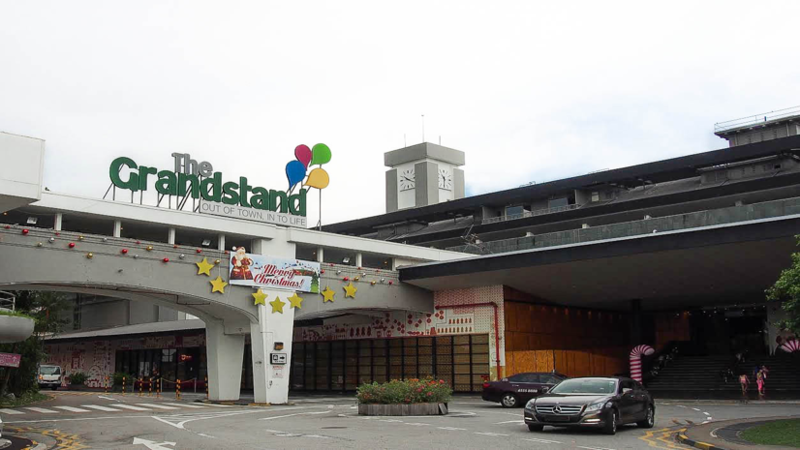 Despite its longer establishment as compared to adjacent malls in Jurong, it still retains some of its former glory and having the one thing most other malls don't provide – 2 hours free parking daily. From there, it's only $0.30 per subsequent 15 minutes or $1.07 per subsequent hour. Old is still gold. Looking for a quick workout during the hours of 6.30am to 8.30am before work, run easy as parking is free! NParks are offering free parking for many parks dotted around our little red dot. Check it out! 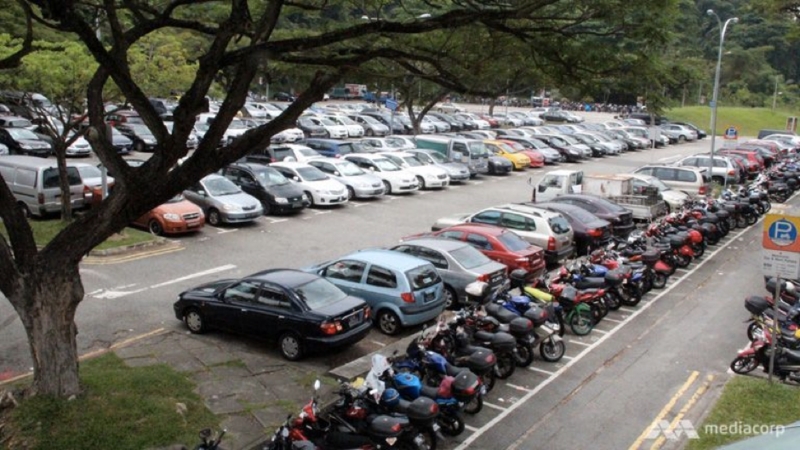 For motorcyclists, check out the list of places with free parking here! 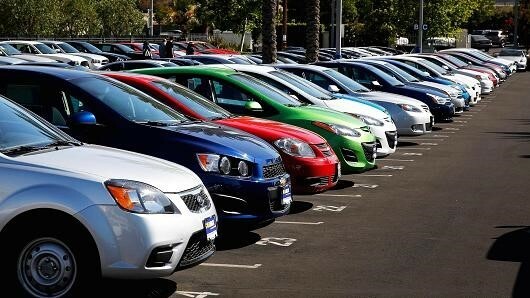 ​Exporting Used Car Without COE: Is It Legal? In Singapore, COE is the Certificate of Entitlement. It is usually given to anyone who wants to register a new car. You must obtain the COE according to the appropriate vehicle category. The COE you get gives you the representation of the right to own a certain vehicle. It also gives you the limited road space for 10 years. 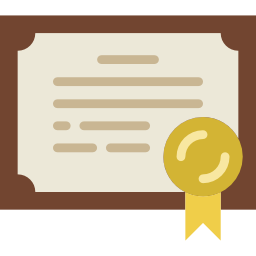 When the 10 years are over, you, as the vehicle owner may choose to deregister your vehicle. Alternatively, you may revalidate your COE for an additional 5- 10 years. This will require that you pay the prevailing quota premium. 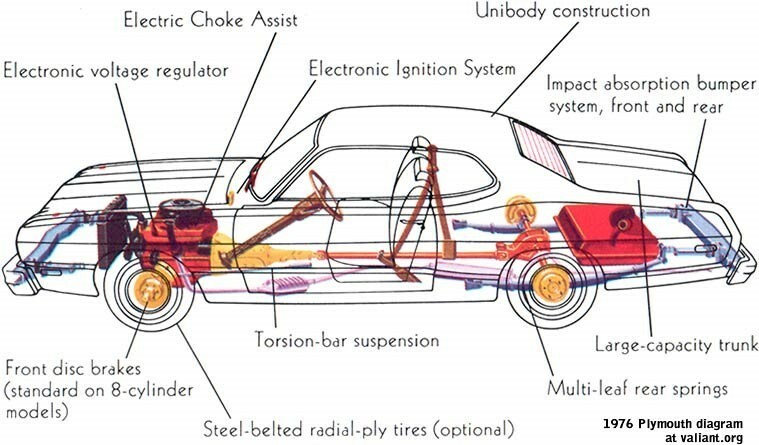 One legal way of exporting a car into any other country without COE is to dismantle the car and ship the parts and sell them in another country of your choice. If the car is still new and has fairly useable parts, like the engine, the gearbox, the other parts of the mechanical components and the panel parts of the body, it will give you good money. 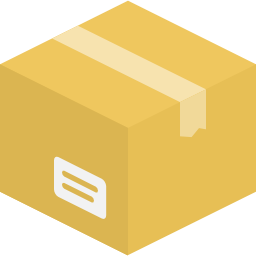 If you package the parts right, for example packing them as household items rather than as car parts, they will be able to pass the inspection and the restrictions that come from exporting car parts. 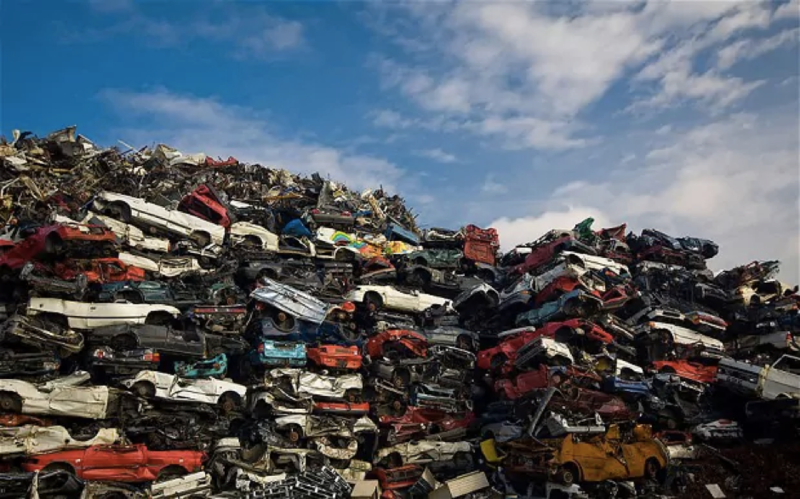 You should ensure that you take it to a scrap operator who is authorized in scrapping cars so it can pass the shipping if you will not package it as household items. The other option you have is to ensure that you can use the vehicle and that it can pass some mechanical tests. 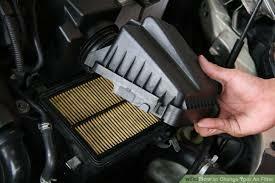 You will also need to provide all the information about the vehicle and not just the parts it has. Knowing a person who works in JB will allow you to have a way to break it down and ship it. Then you will have to change it into a left handed drive. There are currently many restrictions when it comes to exporting used cars to other countries. Getting an authorized channel and knowing people in the industry will help you find an easy channel to export the car or its parts easily and without any problems with authorities. Direct Cars is one such authorized channel that can you with your car scrapping needs. 1. Is there a pre-certification inspection from a mechanic? Used cars go through thorough inspection before they can be certified. This inspection does not go undocumented and is always accompanied by official paperwork that indicates what has been fixed. Ask for a copy of the paperwork as it will come in handy should you experience problems in the future. 2. Where and from whom was the vehicle purchased? 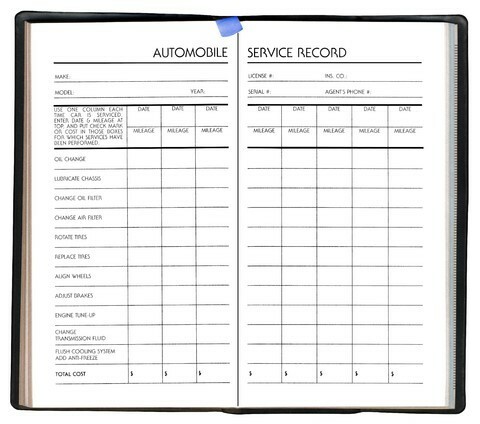 If the dealership involved a trade-in, obtain a copy of the maintenance records. 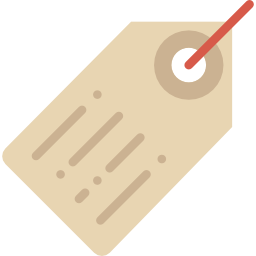 Offer them to black out the owner's name and address if the seller is uncomfortable with giving away this kind of information. If the car was auction-bought, make sure that it has been certified by a mechanic who specializes in inspecting second-hand cars. 3. What is the return policy on the dealership? Consumer-friendly dealerships usually give you time to rethink the purchase and at least replace the car with one with equal value. However, don't expect any dealership to offer you cash back. 4. How much is the car? Dealers earn from car dealerships through financing, but paying in cash should make you get a lower price for a purchase in any industry. Negotiate at least 5% off the price. Emphasize that it eliminates a lot of work on the dealer's end when you choose to pay the full amount in cash. If the dealer won't make you a deal for cash, ask what kind of benefits you'll get by doing the financing through them. Also make sure that the rate they offer is than or at least equal to what your bank or credit union would offer. 5. How long can I take the car for a test drive? Before deciding on anything, see if the dealer will allow you to take the car overnight for an extended test drive. 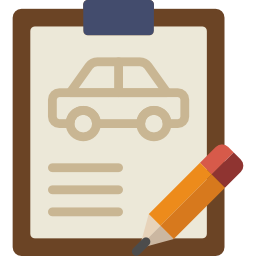 Make an official written statement that you won't put more than 100 miles on the odometer, that you have car insurance that could cover for any damage, and that the car will be returned in tiptop shape and with a full tank. 5 Facts On ​Car Selling Channels Vs Used Car Dealers: Which is best? 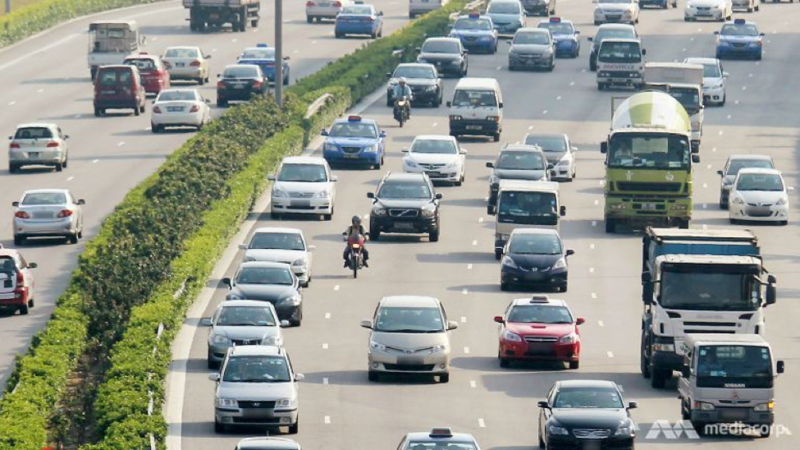 The Singapore government has enacted very tough regulations in its automotive market. These laws emerged because of the need to control the density of traffic and create a balance between old vehicles that are moving out of the market and the sale of new the ones. 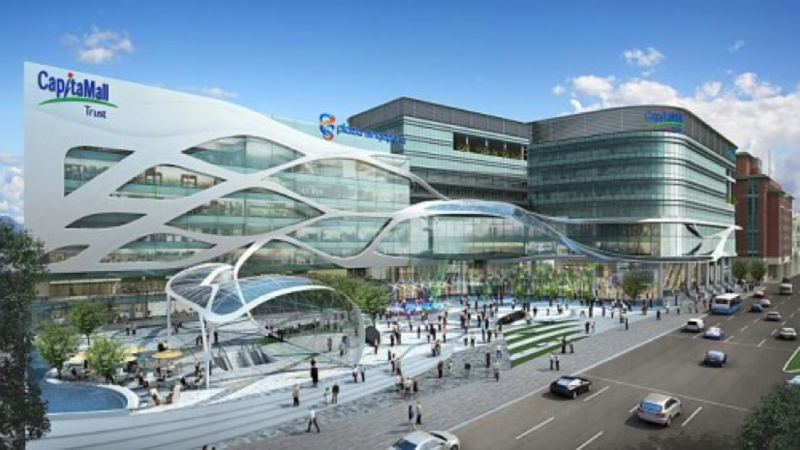 Having a high per capita income, the automobile vehicles in Singapore are in great demand. Because of the great demand and heavy regulation from the state, competition in the automobile industry is very high amongst importers, used car dealers and car selling channels. However, used car dealers are winning, and many Singaporeans are turning to the market for their cars - an indication that buying vehicles from used car dealers is a lot more preferred than buying vehicles from car selling channels. When buying a car, price is one of the factors to consider. Used cars bought from dealers are cheaper compared to cars sold by car selling channels. Despite their low prices, these cars are of high quality since dealers are seeking to protect their reputation and image. Most of them have mechanics who will groom their vehicles before selling. 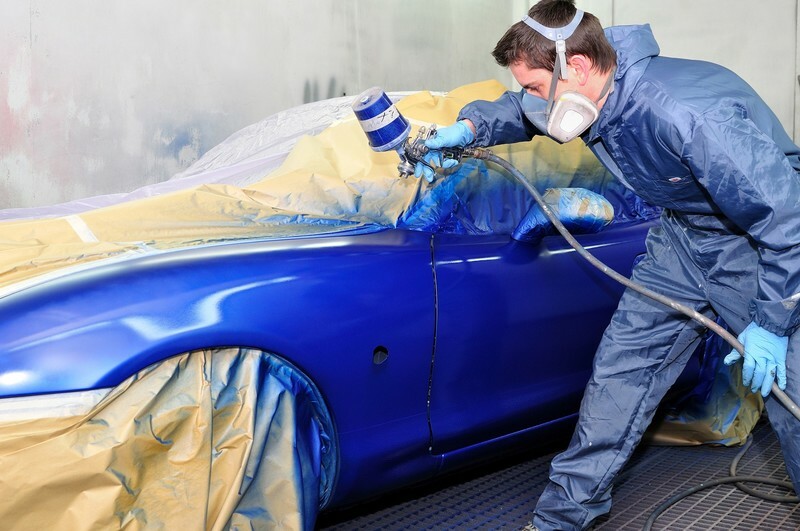 The intention is to sale a vehicle in good condition, and the process involves repairing any dents, knocks and polishing the vehicle to make it attractive. They also provide warranties for a few months, meaning that a buyer is guaranteed of purchasing a high-quality product, at a lower price. Despite the provision of new vehicles and warranties, car selling channels charge a very high price. An average Singaporean, who is price sensitive, will prefer buying their vehicles at a car dealer, and not at a car selling channel. Used car dealers have the capability of getting any model of car you want. Dealers have a wide variety of cars on sale, and if they do not have the particular model you want, they will recommend you to another dealer. Car selling channels cannot refer you to another seller because of competition. Furthermore, most of these organizations sell a particular car brand of car. Y ou are likely not to get a variety of cars to choose from, since you will be limited to the brands they have for sale. To get your brand from a used car dealer, all you have to do is to notif them of your budget, and the types of car brands you are looking for. The sales assistants will address your needs, and locate a car that you want. The superiority of these businessmen lies on two factors; a Favorable Pricing and the Ability To Get Any Brand A Customer Wants. Affordable but high-quality vehicles are in demand, and used car dealers have the capability of offering them. Getting a car of your desire, with an expert advice is tempting, used car dealers will provide your dream car for you, and all that you need is to identify your budget and tell them your needs. Buying second-hand cars can be very tricky and difficult, and if you do not know the first thing about cars, you may end up with a bad deal. Some people prefer buying slightly used vehicles instead of brand new ones to save money, but in order to avoid getting tricked and to ensure you land a good deal, here are 3 things you need to bear in mind before purchasing that used car. 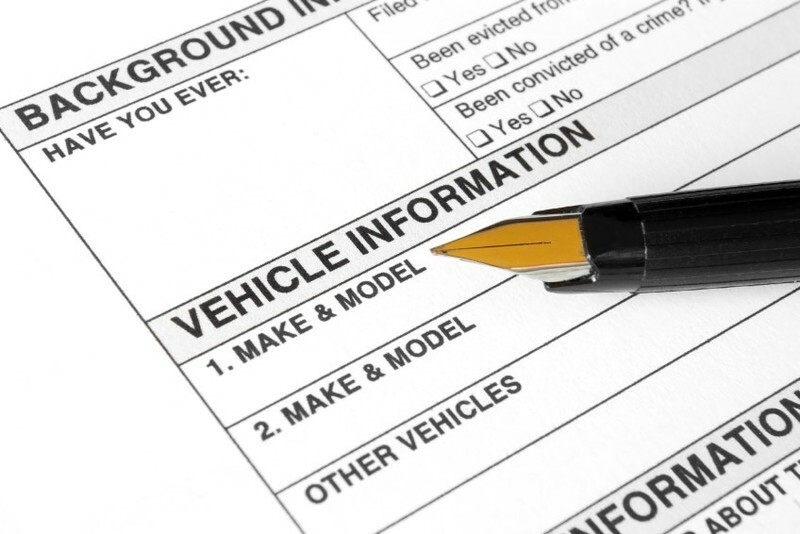 When buying used cars, it is strongly advised to first look for the car's history record and other supporting documents. Car records will show you how long the car has been used and how well the vehicle is maintained. 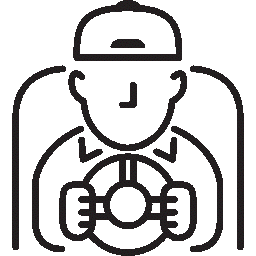 Checking the car record will also give you presence of mind, or will at least let you know what problems to expect if you go through with your purchase. 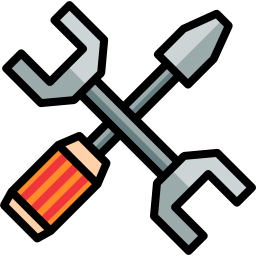 If, for example, the car has not been serviced for a while, you will know that that will be one of the first tasks that you will have to take care of. At the very least, checking the record will help keep you from buying a stolen car or unknowingly paying good money for a damaged car. Before finally deciding on that second-hand car, it is best that you do a couple of test drives to check the car's overall performance. Cars that have seen action for five years or more will likely need more maintenance. Also, conducting test drives is an effective evaluation tool to get a good feel of the car in terms of comfort and efficiency. A car is more than just a machine, after all, and doing a test drive will let you get a feel of its "personality". For newbies who do not have the slightest idea about cars, it is highly suggested that you seek the help of a professional. Instead of doing car evaluation yourself, you may consult a good mechanic and have the car checked and tested. This would not only spare you the worry but would also ensure that you get a good deal. 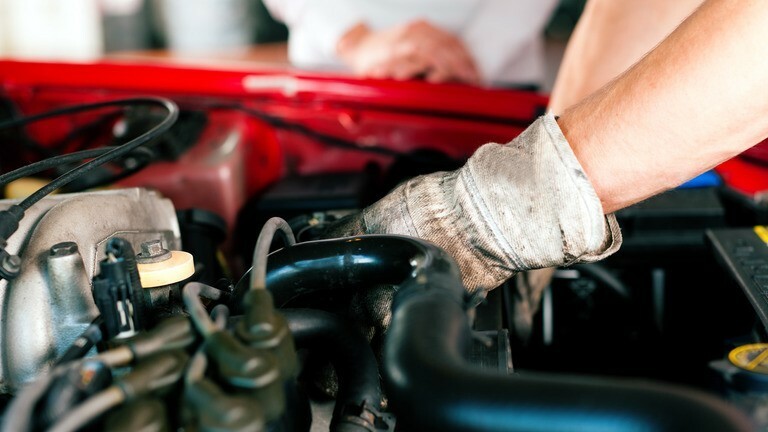 In any case, having a mechanic with you will help you spot potential problems with your second-hand car. For people interested to buy second-hand cars, the problem lies in the certainty that the used car is still in good condition. Yes, the car's appearance, including the interior, may be impressive, but the important thing is the car's running condition. This is where test driving comes in. Having the second-hand car tested is an important evaluation tool to ensure driving comfort and efficiency. Listed below are 3 Reminders on how to do a test drive, especially when buying any used car. Every buyer should conduct at least one test drive before closing the deal. This will give the buyer more time to check how well the car runs. 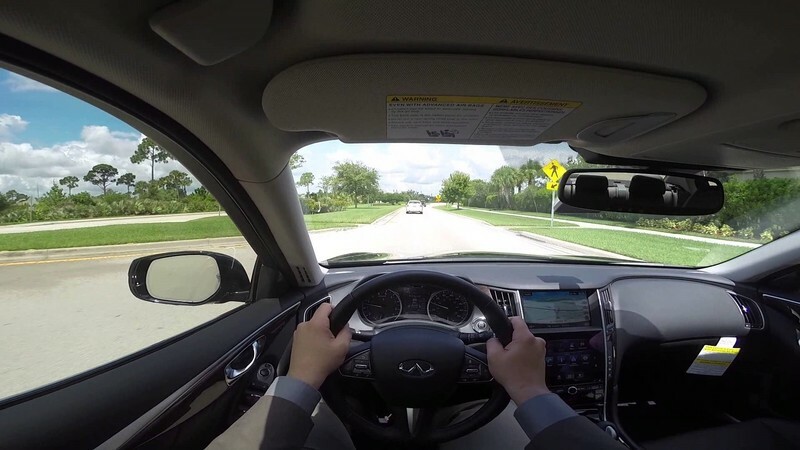 The First drive could be dedicated to the car's overall feel and driving comfort. On the Second test drive, the buyer can focus on a more technical evaluation, including how the engine sounds when running, whether the transmission is smooth, and how well the suspension works. 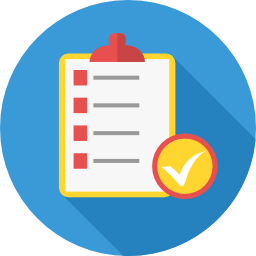 It is highly recommended for all buyers to have a checklist ready when conducting test drives. First, check the tires and look for any fluid leaks from the engine. Check the disc brake rotors. Opening and closing all doors, including the locks. They should not stick, or be difficult to operate. Open the hood and listen to the engine. Check for ticks, knocks, or hisses. As a potential buyer, you have to be mindful of the car's practicality and affordability. For instance, you may want to consider fuel cost based on the mpg of the car. 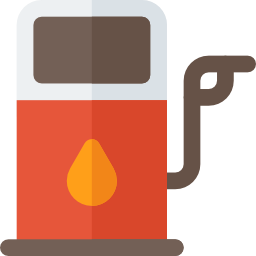 You don't want to purchase a gas guzzler or one that will require too much maintenance. Another thing you should consider is the car's age. Although vintage cars are definitely sought after in the market, you do not want a car that is difficult to find parts for and that is due for heavy maintenance every few months. Modified cars took the car industry by storm. 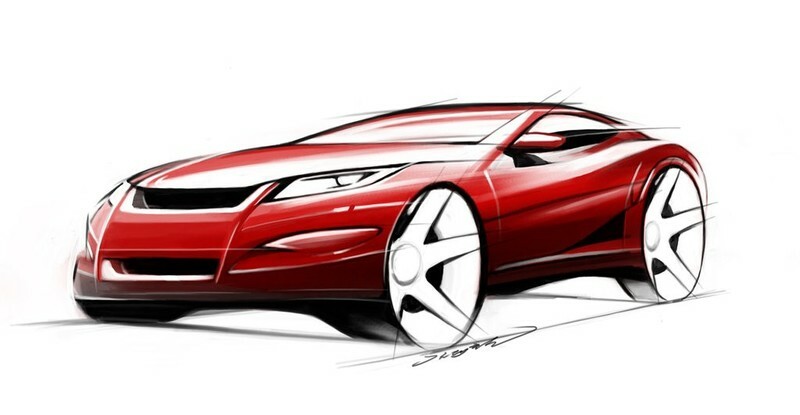 All over the world, people have developed a passion and liking on remodeling used cars to suit their individual taste. Although this still holds true until now, there may be some exemption to the rule. In Singapore, the value for modified cars could be considered low and unattractive compared to other others. To shed light on this matter, below are 3 quick facts about modified cars in Singapore which may explain the reason behind this unlikely condition. In mid-November of 2013, the Singapore Parliament passed some amendments to the Road Traffic Act which directly penalized people conducting illegal car modification. Because of the amendments made, the court can now impound these illegally-modified vehicles. There is also a good chance that offenders may see jail time, worst-case-scenario. Moreover, the Singaporean government could not turn a blind eye to the increasing violations made by offenders. Modified cars are already used items. And from a practical stance, any used cars pose greater maintenance and repair issues compared to brand news. No matter how well you maintain the modified car, time would reveal its disadvantages in the long run. 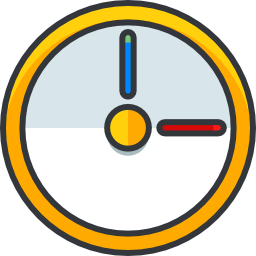 Sooner or later, more complications will definitely arise in terms of performance, comfort, and efficiency. Hence, you will need to spend a bit more just to ensure the wellness of your vehicle that may bring discomfort to the user later on. In Singapore, a number of car-related accidents have been reported where a modified vehicle is involved. In turn, the tendency for mass media to take advantage of the incident could not be helped. 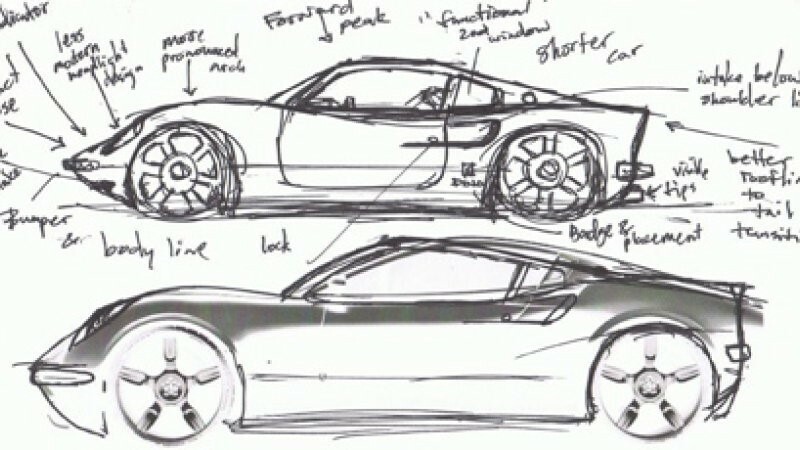 Thus, affecting the way people view modified cars in a negative manner. In addition, modified cars have been regarded as the road bullies in Singapore, which is attributed to the reckless driving of the owners. Just like a living person, cars also grow old and weary. As time passes by, the value of cars depreciates and their performance becomes awfully poor—especially those that have reached the 8-10 year-old mark. And through the years, one of the most common challenges among people has been how to practically dispose of their used cars without having to compromise too much on the price. Listed below are some clever and practical hacks that would guarantee a good deal when selling your used vehicles. One important rule in the trade industry focuses on the items' overall appearance and presentation. No potential buyer would like to purchase something rusty and old, unless you are selling antiques. 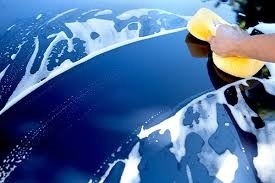 But for used cars, it is highly recommended to do a general cleaning of both the exterior and interior of the vehicle. 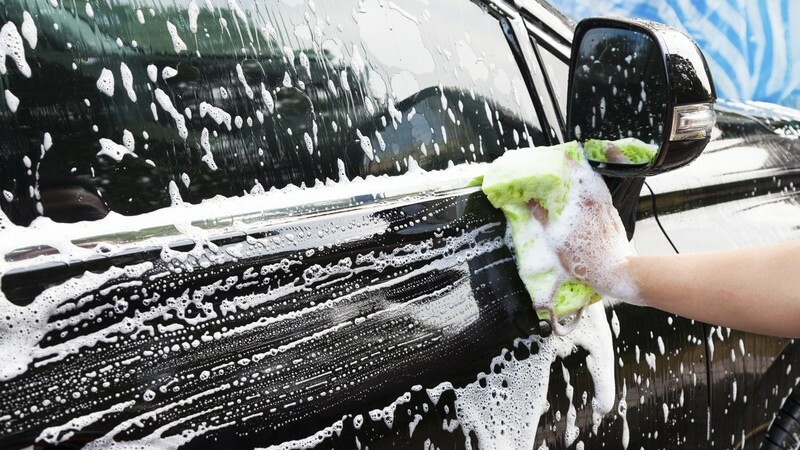 You may start by giving your car a complete wash. Make sure to use car polisher or wax to give your vehicle that shinning effect. You can also change the carpets and seat covers especially if stains couldn't be removed anymore. The problem with cars running for about 10 years already is their performance. Perhaps the engine eats up too much gas or there are burnt-out lights which need replacing. Either way, potential buyers would take this factor as their top measurable indicator when buying used cars. And so, it is highly suggested to do an overall check-up of your vehicle before posting any ads online. In this way, you can ensure the efficiency and effectiveness of the car, despite its age. tential buyers would have the tendency to have some doubts and issues with used cars. Aside from the performance and efficiency of the vehicle, they would also look into the car's legal documents. Of course no one would like to purchase something stolen. 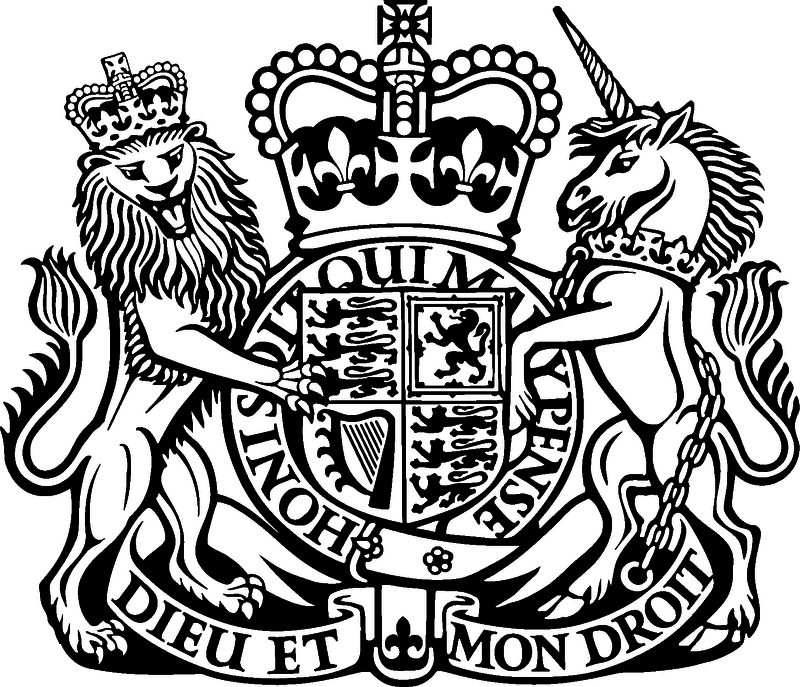 In this regard, it would be wise to keep a thorough record of the vehicle's legal documents, including history tracks. 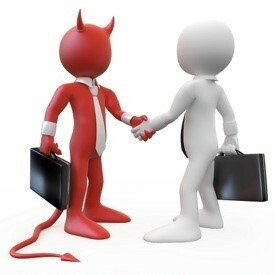 This would establish the seller's integrity and create a sense of security on the part of the buyer. like any other asset, the value of cars goes down over the years. There will come a time when cars must retire due to old age and wear and tear, which really affect performance and resale value. This is not always bad news, because it means you have a chance to check out a new ride. Here are 3 things to consider when you are thinking about letting go of your old faithful automobile and replacing it with a newer model. Do you spend more money now on your car's repairs? Or do most of its parts need replacing? If it is no longer practical to keep on spending money just to keep your car in running, then this is already an indicator that you need to replace it. Although this will mean a bigger expense on your part, it will mean savings in the long run. On the average, an SUV or similar vehicle will need serious maintenance after five years. There are three distinct points, reflected in the car's odometer, which signify when service is needed: (1) 48,000 to 64,000 km; (2) 96,000 to 112,000 km; and (3) 160,000 km and above. When your car reaches the third point and beyond and you are not looking forward to investing on maintenance and repair, then it is time to consider selling it. Although how you drive also affects fuel consumption, efficiency is very much related to the age of your vehicle. The engine may not be working as efficiently as when it wa s new due to its old age. In turn, the overall performance and efficiency of the car are also affected. But the good news is, technological advancements have led to fuel efficient cars that you can replace your old car with. 3 Factors For Your Used Car Value Calculator: How Much Is Your Car Worth? For potential dealers of used cars, it is a standard practice to know the value of the car first before looking for buyers in the market. You must be able to estimate the actual value of the vehicle, without repair or maintenance, in order to determine the initial pricing. From there, you can identify the necessary steps you must undertake in order to increase the value of the vehicle. Below are 3 things you need to consider when evaluating used cars. This could serve as your explicit and practical guide in carrying out the task smoothly. Some people have higher appreciation for the car brand despite its age. For instance, vintage cars are considered as classics due to their authenticity and grandeur. So when evaluating the price of your used car, consider the brand. Sports cars tend to have higher value as time passes by. But for SUVs and other similar vehicle, it could be the opposite. 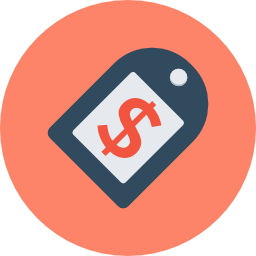 In addition, some brands may have a higher sale value than the others. Truth is: Used cars grow weary throughout the years. So in order to increase the value of your vehicle, appearance is everything. A well-presentable used car would definitely attract potential buyers at any time. Since people have the tendency to buy good-as-brand-new items, making sure that the car's physical condition appears well-maintained may help close a deal. You can start by doing complete car body repaint. Replace any damaged car parts light lights and mirrors. Do not just focus on the exterior but also do a makeover of the interior portion. Another factor you need to consider in evaluating the actual price of your used car would be its performance. Of course, secondhand cars no longer have the efficiency it once have. 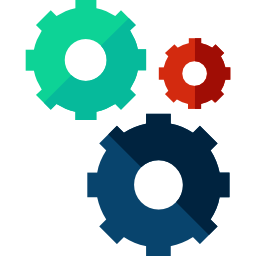 But what you can do is to conduct maintenance and repair on a regular basis to ensure that it is still working properly. Through this, you can keep track of the vehicle's performance and lifespan. In addition, a car's mileage is also a good indicator of the car's sale value. For people exposed in the industry of car dealership, one common challenge is the process of transforming used cars into something more bankable in the market. Since secondhand vehicles tend to have more issues in the long run, the need to properly maintain the vehicle, especially in terms of performance and aesthetics, is a must. Listed below are some common HACKS in order to carry out the task most efficiently. Let this be your ultimate guide in pitching a higher price when selling your used vehicle. A standard practice among car sellers is to maintain the attractiveness of the vehicle. The car's color may have faded over time and need some major body repainting. Or perhaps the headlights or side-mirrors need replacing. Either way, the car should pose an impression that it is fresh and ready to get on the road again. You can probably get a good deal with your used vehicle if the aesthetics are in order. Start by doing a car wash. Potential buyers will definitely inspect the car's cleanliness and orderliness. Apply car wax as well. Make sure that the carpets are thoroughly washed and vacuumed. 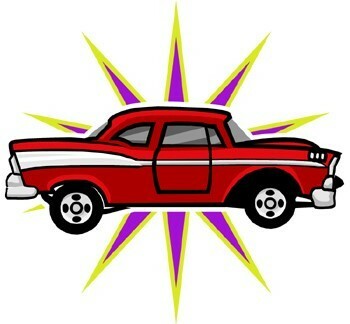 In this way, you can impress potential buyers by presenting a shining, spotless car. Among the three (3) suggested approaches, this is the most crucial. Beyond aesthetics, the major concern of the buyer would be the vehicle's performance and efficiency. The car may have been on the road for more than five (5) years now, and complications are on the way. But in order to prevent this, a regular check-up of the vehicle should be conducted. Start by greasing the oil or replacing any broken engine parts. This would ensure a better quality of the vehicle. Or you can also consult a professional car mechanic to do the job for you. The first rule of selling second-hand items is to make it look as good as new. 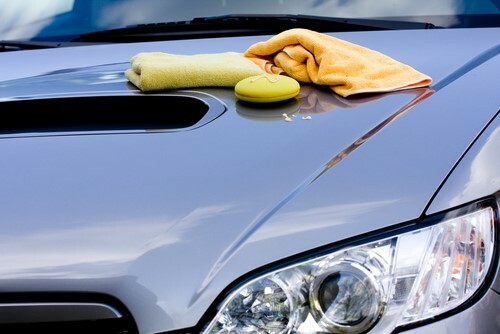 You can entice the interest of potential buyers by making sure that your old cars look clean and shiny. Start with a thorough wash inside and out. Shampoo the carpet, degrease the engine, and replace any broken lights. In addition, repainting is also highly recommended but only in the areas which with visible light to heavy scratches.